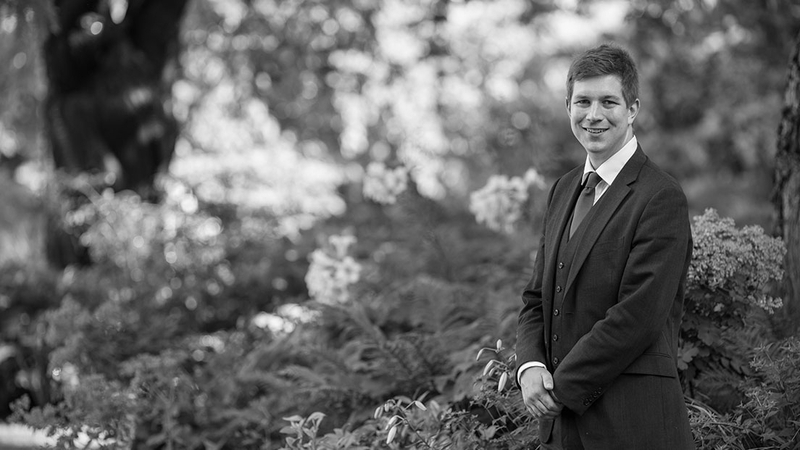 Jacob is an associate member and is now an unregistered barrister. He practised in London and across the South Eastern and Western circuits. He appeared in all types of criminal cases and was regularly instructed on behalf of the local authorities in cases of benefit fraud. Jacob regularly prosecutes and defends in the Crown Court, and has appeared several times at the Court of Appeal. Jacob has gained particular experience of handling young witnesses and defendants, both as prosecution and defence counsel. He has been involved in several cases involving particularly sensitive allegations where he has effectively cross-examined young witnesses, and represented the interests of young defendants. Jacob has been involved in the full range of criminal cases, including cases involving serious violence, sexual offences and drugs offences, as well as dishonesty offences including fraud, burglary, and theft. He has represented clients suffering from mental health difficulties, and dealt with defendants with psychiatric issues and with issues of fitness to plead. Jacob is a Grade 3 CPS Prosecutor. Before coming to the bar, Jacob spent several months as an intern for the European Human Rights Advocacy Centre. He also assists in legal research for death row cases in the USA. Jacob successfully responded to an appeal against conviction relating to the definition of an offensive weapon when a cricket bat was picked up in order to be used for violence shortly thereafter, as well as whether police officers had been entitled to identify a suspect from CCTV when conducting door-to-door enquiries. Successfully appealed a sentence of four years' imprisonment in respect of an offence of robbery. The Court of Appeal reduced the sentence to 2 years 3 months' imprisonment and agreed that the trial Judge had erred in withholding all credit in circumstance where a guilty plea was entered at the conclusion of the prosecution case. Appealed against the sentence of a defendant convicted of transporting a significant quantity of cannabis between Sheffield and London. Successfully responded to an appeal against conviction arising out of a judge’s failure to direct the jury as to whether an adverse inference could be drawn against a defendant whose evidence differed from the account given in his unsigned defence statement. This case appeared on Crimeline. Appealed against the sentence of a defendant who pleaded guilty to Escape, Assault Occasioning Actual Bodily Harm and Criminal Damage. Jacob’s representation of the appellant was specifically praised by Mr Justice Davis during the course of the judgment. Successfully appealed the sentence of a defendant who pleaded guilty to Possession of Class A drugs with Intent to Supply. Represented a defendant charged with Cheating the Public Revenue. The case arose out of a complex cheat involving the creation of numerous companies and the submission of fraudulent VAT repayment claims supported by forged invoices. Following a month-long “cut throat” trial the defendant was acquitted whilst his co-defendant was found guilty. Appeared in both the criminal proceedings and the confiscation proceedings on behalf of a defendant who faced seven charges of Conspiracy to Commit Fraud by False Representation arising from allegations that he was paid to take driving theory tests using a false identity on behalf of others. Represented a defendant charged with Conspiracy to Steal in connection with a sophisticated “car-ringing” style offence where valuable motorbikes were stolen to order. Jacob was instructed on behalf of a defendant charged with over £100,000 worth of benefit fraud. The case was unusual because the defendant had not been the claimant of the benefits but was charged as a secondary party. No evidence was offered against Jacob’s client. Represented a vulnerable defendant with mental health difficulties who was charged with burglary and theft from a close friend. A psychiatric report was obtained and it was successfully argued that the defendant’s police interview should be excluded. The count of burglary was dismissed upon a submission of no case to answer. Represented a young defendant charged with residential burglary of guns and ammunition. Represented a defendant charged with being involved in a series of professionally planned commercial burglaries where large quantities of cigarettes were stolen. Represented a defendant charged with Conspiracy to Steal after being accused of being involved with a large number of pick-pocketing incidents on the London Underground over several different dates. Prosecuted three defendants charged with Conspiracy to Defraud resulting from their participation in a “skimming” operation where they obtained bank card details from innocent members of the public. Represented a defendant in confiscation proceedings following his conviction for participating in several armed robberies of cash-in-transit vans. Represented a sixteen-year-old male at trial who was charged with attempted robbery and unlawful wounding arising from an incident where a male was stabbed outside an underground station. Successfully represented a defendant charged with assault occasioning actual bodily harm against a police officer. Both the alleged victim and another police officer gave evidence against the defendant. Prosecuted a prisoner accused of a serious assault against a fellow prisoner in his cell. Represented an eighteen-year-old man charged with Unlawful Wounding after setting a fifteen-year-old girl’s hair alight. A suspended sentence was ultimately secured. This case was reported in the Evening Standard. Successfully prosecuted a defendant at trial on a count of grievous bodily harm as a joint party to an attack where it was not suggested that the defendant had struck the blow with a bottle that had caused the serious injury to the victim. Secured an acquittal on the basis of self-defence on behalf of a defendant accused of having attacked and injured a woman inside a hair salon using a pair of scissors. Represented at trial a defendant charged in a five-handed affray whose account was that he could remember nothing of the incident that occurred due to self-induced intoxication. Jacob, led by Greg Perrins in chambers, represented a defendant charged with a multi-million pound Conspiracy to Supply Cannabis and connected financial offences. The defendant was ultimately cleared of all charges he faced. Prosecuted a defendant who was guilty of the cultivation of cannabis in a case that was reported in the Hunts Post. Jacob made a successful submission of no case to answer at the conclusion of the prosecution case in respect of a defendant charged with cultivation of cannabis. The police discovered a cannabis factory in a garage, and there was a forensic link between some of the equipment being used and the defendant, but Jacob successfully argued that the presence of the forensics on the equipment was insufficient to link the defendant to the production of the cannabis. R V Mezals & Others – Successful prosecution (with Gregory Perrins) of the first major gangmaster case. This case established a new precedent where fraud laws could be utilised. Further to this case the Guardian produced a long piece discussing the case and the wider implications in their 'long read' series. Click here to be directed to the article. Secured acquittals on counts of Dangerous Driving and Driving Whilst Disqualified for a defendant who was accused of being involved in a high-speed police chase resulting in a serious accident. Two police officers gave evidence that the defendant was driving the vehicle. Represented a defendant charged with Witness Intimidation and an aggravated Dangerous Dogs act offence. Pleas were ultimately entered on a basis that resulted in a £500 fine, and a suspended order of destruction against the defendant’s dog was secured.